If his and hers awards were to be given that night by me, then this lovely bloomer-clad lady definitely would have earned it big time. And if the bloomers were not enough, get a load of her shoes! Adrienne's got the look and knows how to give one, too. Equal time must be given to Adrienne's vested hubby James. 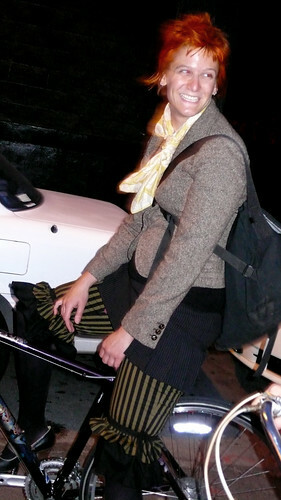 Double the Tweed on a tandem! 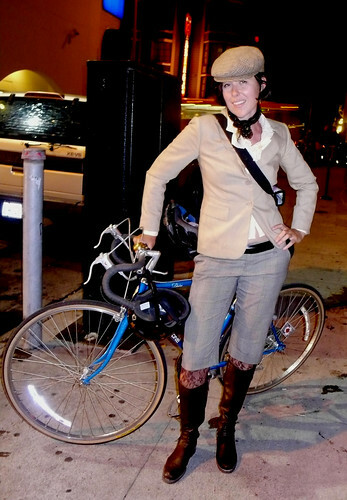 And I'll end this series with a woman who epitomized the Vélo Vogue/Cycle Chic trend for me that night. A class act, indeed. 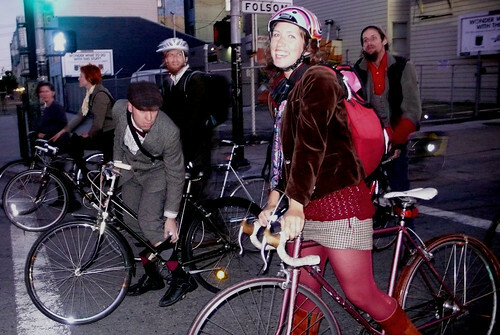 Wow, I love the tweed tandem! wow that woman, lovely redhead & those bloomers. 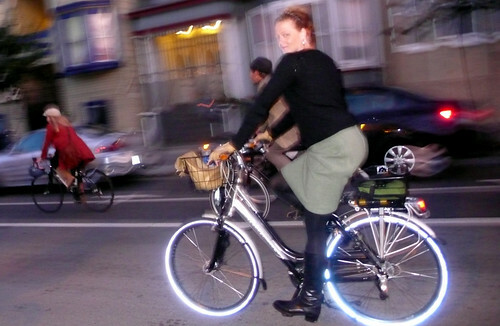 Great photos KT, we should all get a triple tandem next time and take turns. trouble!!! C - Thanks, come ride with us sometime! Don't stop, I could never get enough of the tweed photos! 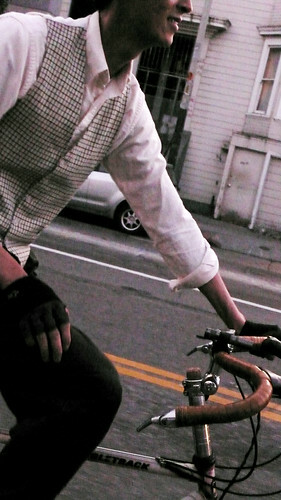 Those striped bloomers are amazing, and I love the moustache bars on AJ hubby's bike.